Add a new species to the list! In the 4 years of camera trapping that we have done here in Senegal in the Falémé region, we captured images of 25 different species of mammals – make that 26 species now! Our first images of red river hogs (Potamochoerus porcus) were taken this year by the Kharakhena cave. Two individuals passed the cameras, looking rather alarmed when they some the apparatus! Although red river hogs are not an endangered species or even considered threatened, they are rare here in Senegal. 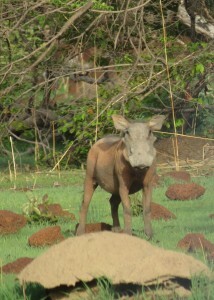 Saiba Keita of Kharakhena says he hasn’t seen one in years, and if it weren’t for the cameras we would never see them. 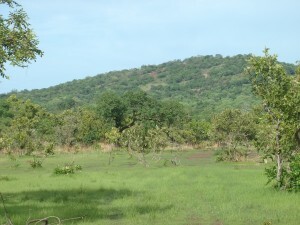 Southern Senegal is the northern most range for the red river hogs, and a rather different climate than much of the rest of their range which extents into Central Africa. Always exciting to see new faces visiting our camera traps! Here is a short clip of one of the red river hogs checking out the cameras. Today I sat down and met with a friend and colleague who is an expert in the field of rural sociology and regional planning. Amadou has spent over 40 years studying and practicing in this field and is absolutely a wealth of knowledge. He works closely with the FAO, ecologists, agriculturalists and villagers to help organize community forest projects, unions for pastoralists, and community development plans for rural villages. As he says, he only facilitates, it is up to the villages and participants at the meetings to make the projects what they are and make them happen. 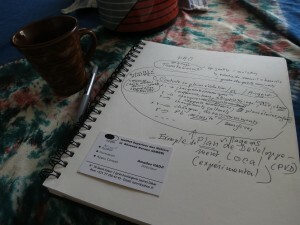 As we discussed today, sitting at the breakfast table in Dakar, I talked about the village of Kharakhena. About the gold mining that is changing the landscape, the people, the environment. I explained how the village that I knew was 150 people living collectively, and how in a matter of months 15,000 people descended onto the village when they heard of the gold in the hills. That was last year. Today estimates are near 25,000 people. Amadou asked for a piece of paper and a pen. He has an amazing way of taking complex problems and organizing them into components. Breaking down the complex into understandable points. He said, “This is a problem of a contexte en pleine evolution.” A rapidly changing environment. 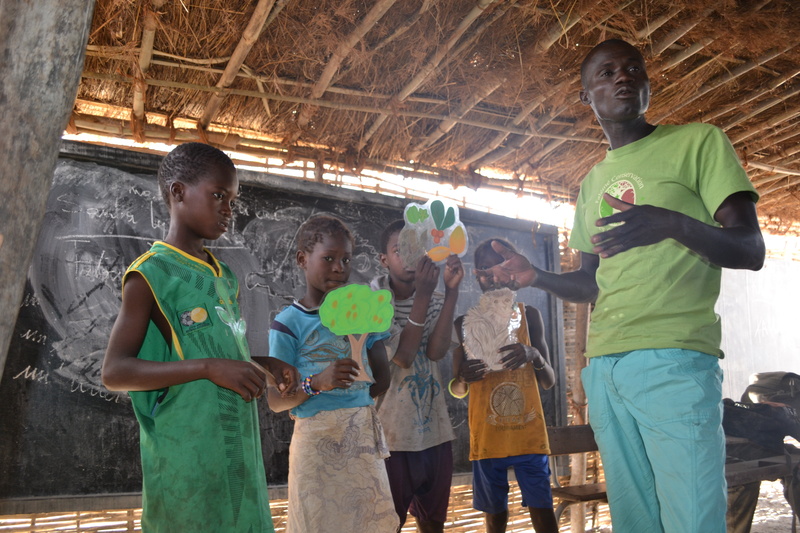 He took notes as we discussed how the influx of gold mining in southeastern Senegal is rapidly changing the environment. As more people move into an area looking for gold, there are other needs to be met and many spell out economic growth for the community. What will these people eat? Where will they sleep? What will they do on their days off? Restaurants and bars pop up in villages like Kharakhena. 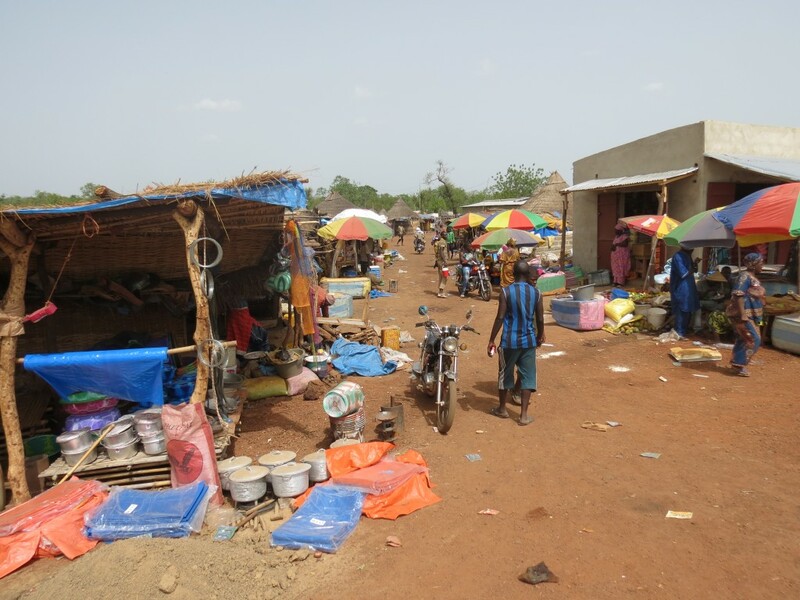 Boutiques line the side of the roads, selling goods and products previously only available in town many kilometers a way. Markets previously open weekly, are now daily. Villages that never had a market in the first place, now do! Some people who come to in search of gold find they can cultivate as well with permission of the village chief, so agricultural practices may increase. With increasing profits from gold and subsequent economic activities, families may now have the funds to purchase livestock – not only raise and sell, but to keep as a longer term investment. New Boutiques in Kharakhena. Each umbrella is a different vender. The first behavioral change Amadou mentioned was the relationship people have with money. Although it is rare, some people who previously had very little money now find themselves with an abundance. How people save, invest, do business, or spend that money changes their behavior. More people begin thinking about banking or developing their community. Others spend their hard-earned money on things like televisions and large satellite dishes, which can be seen set up outside grass and bamboo huts. Cultural changes and behavioral changes are closely tied, but I’ve decided to split them there for emphasis. In mining villages where people come from far and wide, cultures mix and mingle resulting in a new mining culture. 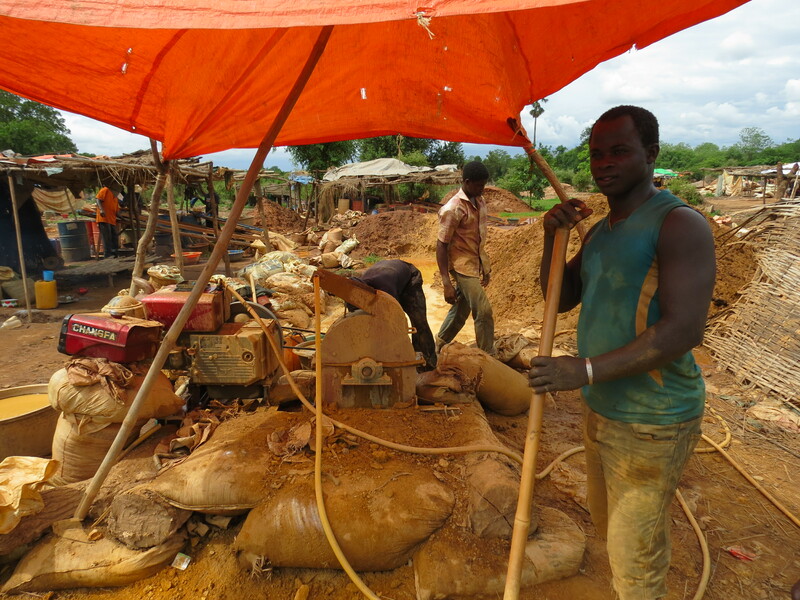 Artisanal gold miners tendto be transient or migrant people, whether within their own country or across international borders, with a common purpose of seeking economic benefit from finding gold. The fact that they come from different backgrounds, countries, and ethnicities results in a transformation of economic, political and social values. 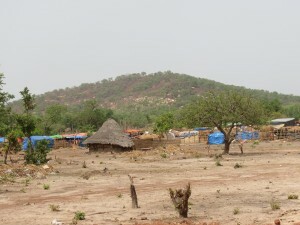 In Kharakhena, miners come from Senegal, Mali,BurkinaFaso, Nigeria, the Gambia, Guinea, and perhaps other countries as well. Languages (French, English,Malinké,Pulaar, etc. ), religions (Christian, Muslim, Animist, etc.) and value systems differ between each country and each ethnicity, but find themselves commingling here in the mining village. Kharakhena was a quiet Muslim village before the mining boom, today there are bars serving alcohol. For some this is a benefit, while for others this an unwelcome change to the community. 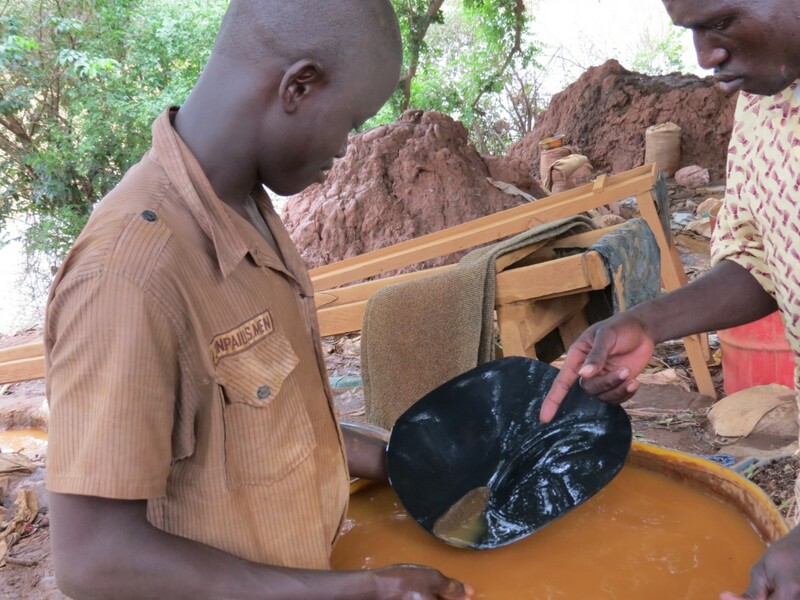 Two men from Burkina Faso wash gold in a pan over a barrel of water. Most of that in the pan is sand, but perhaps there will be a small glimmer of old. 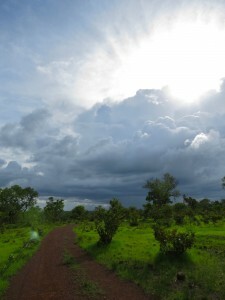 Changes to the environment occur at many levels from deforestation and mining pits on the landscape to mercury in the water sources to increased dust and air pollution. The increase inbushmeat hunting associated with the large immigrant populations also takes a toll on the surrounding environment. It’s hard to say exactly what the long-term effects will be without sustainability practices and restoration or reclamation to the land, but things aren’t looking good. As more money comes into circulation in these mining villages, we begin to see an increase in crime. More thefts, fights, and even murders. Sometimes the violence comes from outside the village when bandits form groups that live in the bush just outside the mining village. They hijack cars on roads and attack miners heading to and from the mine. 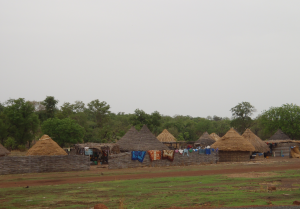 Other attacks happen within the village, particularly on those people who are known to have large sums of money on them. Most of these attacks are well planned, targeting particular individuals. Villages put together neighbor watch programs and community police patrols to try to combat the increasing crime. It was here we stopped with the list. 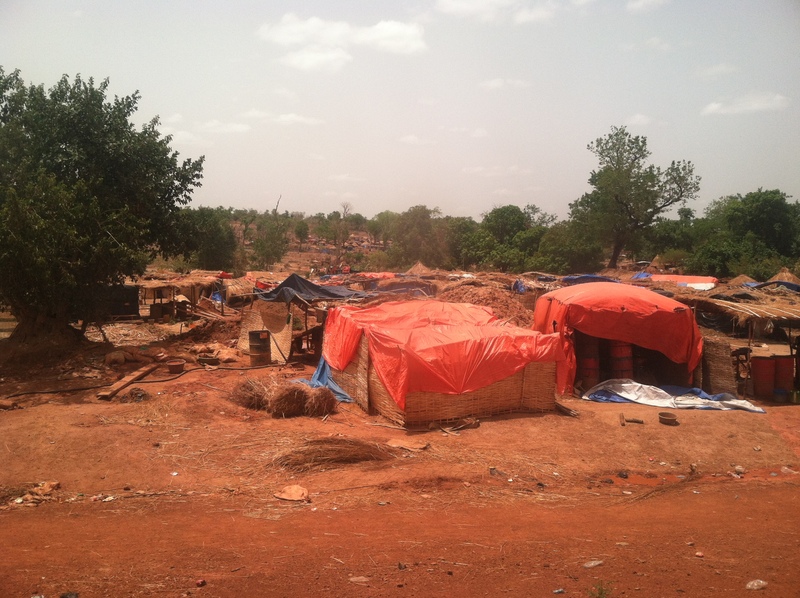 We realized it could go on… we hadn’t even mentioned the changes in health…but we had spoken for quite some time and Amadou had another engagement to attend. We also realized that this conversation should be had with the people of the villages. While some changes are obvious to the outsider, there may be more changes happening within that aren’t as easily detected but are just as important, if not more. As I gear up for my next field season in Senegal, a feeling of nostalgia mixed with trepidation creeps up on me. 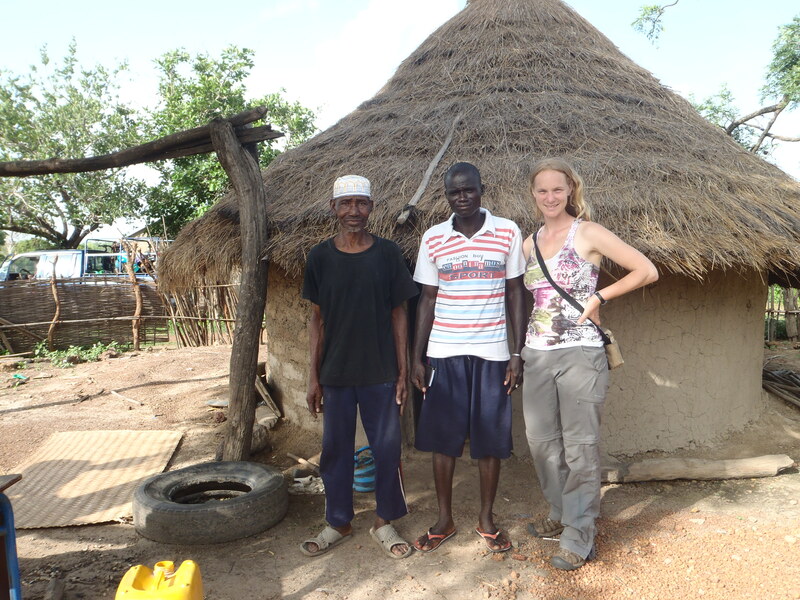 I will be leaving in a few weeks on the three day voyage to the villages in southeastern Senegal where I work. Once there I will meet with community leaders in small remote villages to discuss the future of their forests and what we can do together to improve that future. One of these villages where I have worked since 2010 and where these conversations is perhaps most needed, is Kharakhena. Kharakhena has been my village away from home. I have my own hut within my family’s compound. The chief’s father says I am like one of his own children. 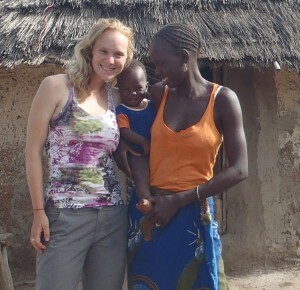 My dear friend Gundo named her sixth child after me. When I pull into the village, either on my motorcycle or in my truck, the children run out from every corner chanting my name. with Gundo and baby Ansumane, named for Gundo’s father and known lovingly as Papa. Papa passed away in late 2012 from an unknown illness. Or… at least that is how it used to be. Kharakhena has changed. 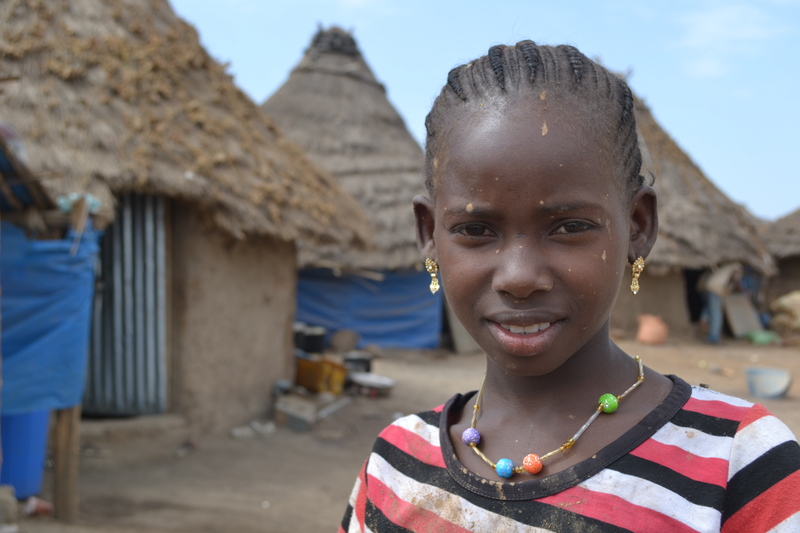 From a sleepy village of 130 people located in rural and remote southeastern Senegal, it has grown into a gold mining community of 25,000 people or more. The original family compounds are now flanked to the north by new roadside boutiques and on all other sides by a rapidly expanding shanty town of shelters. These small, mostly temporary, homes are made from grass, bamboo, and sheets of plastic. They house the masses of artisanal gold miners who have come to find their future (or at least a way to get by) in the gold mine of Kharakhena. 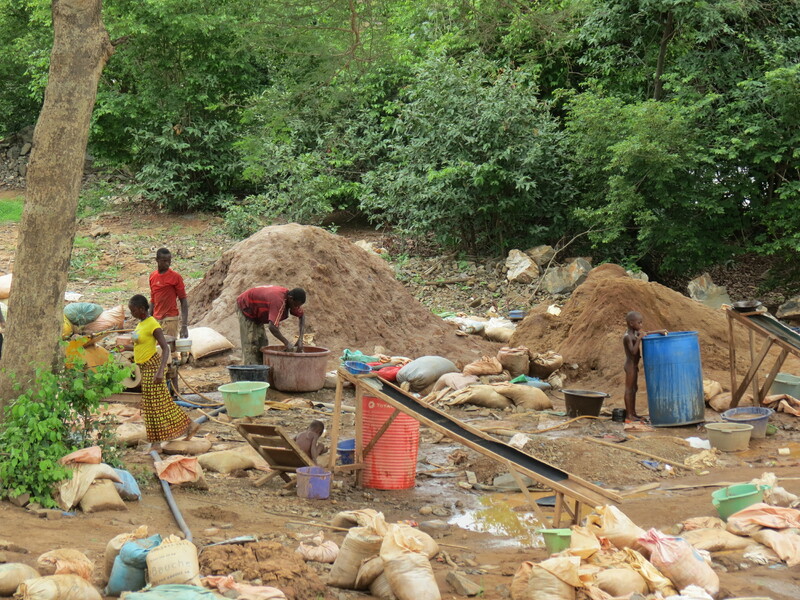 Artisanal small scale gold mining (ASGM) has been a long standing tradition in West Africa. Since colonial times, the country of Ghana has been known as the Gold Coast. Even further back during the first millennium BC, West African gold was traded in the Middle East for goods including copper, horses and salt. Gold mining throughout West African history has been a supplemental activity to agriculture during the agricultural off-season. Mining activity was generally localized, small in scale and with little technological investment. Today, these small scale mining sites still exist but now range from traditional panning in rivers and streams (particularly by women) to mechanized mining communities with bosses, security guards, and many machines. A mine worker who uses a machine to crush the ore before the gold can be separated. These mining communities, like the one growing in Kharakhena, bring both benefits and costs to the original villages. 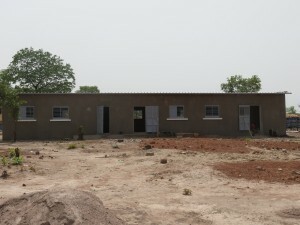 The discovery of gold and the corresponding population growth inevitably result in economic growth with new shops and boutiques built to serve the miners, more vehicles and motorcycles in the village to transport goods and gold, and the increasing village size may warrant the building of a government funded school or a medical clinic. Along with these benefits come costs. Overall health decreases as mining kicks up dust, uses toxic mercury in the gold extraction process, and increase the risk of socially communicable diseases (sometimes associated with an increase in prostitution). 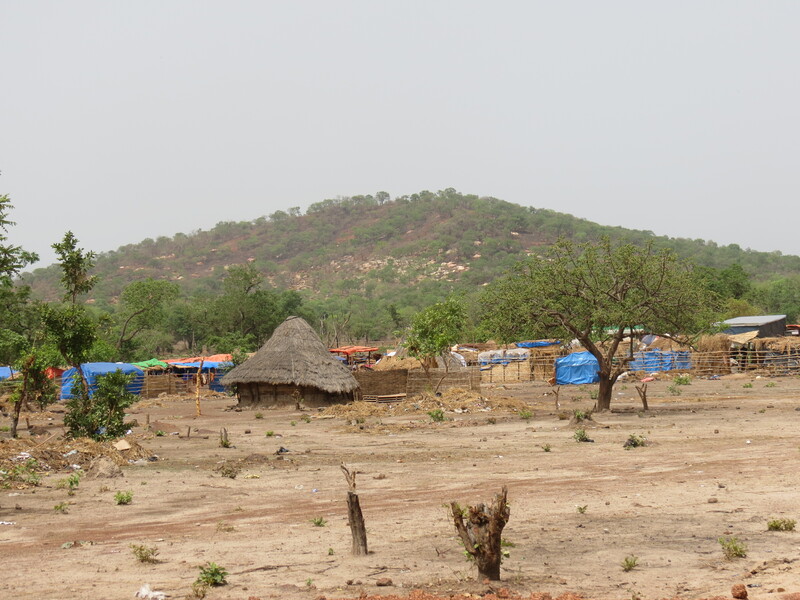 The rapid influx of people and money also causes security problems with groups of bandits prowling the area, harassing motorists, robbing families, and even killing gold miners for their stash. 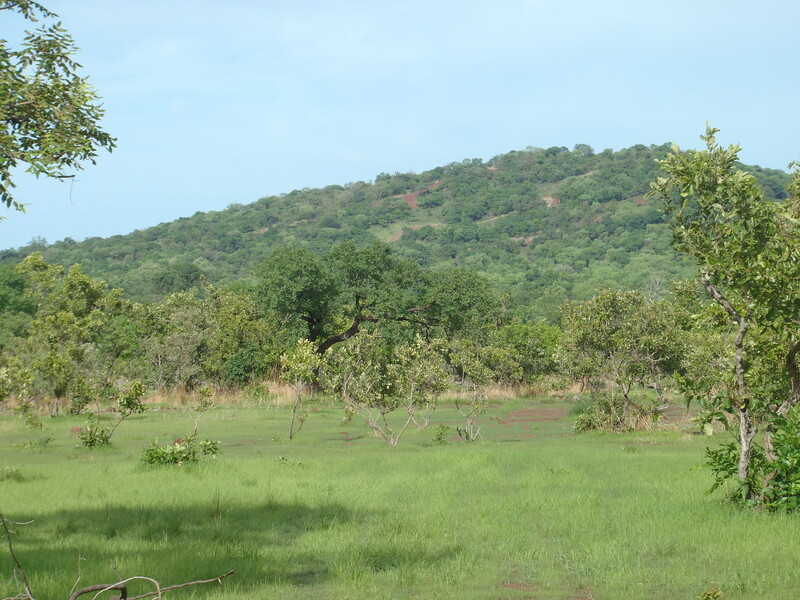 The natural environment also suffers as transient gold miners are interested primarily in getting the gold and moving on to the next site, rather than using sustainable extraction methods and restoring the land. Click on this photo to zoom in and see the mining impacts on the mountain itself. One of the greatest risks that concerns the Chief of Kharakhena village, Saiba Keita, is the environment for children. 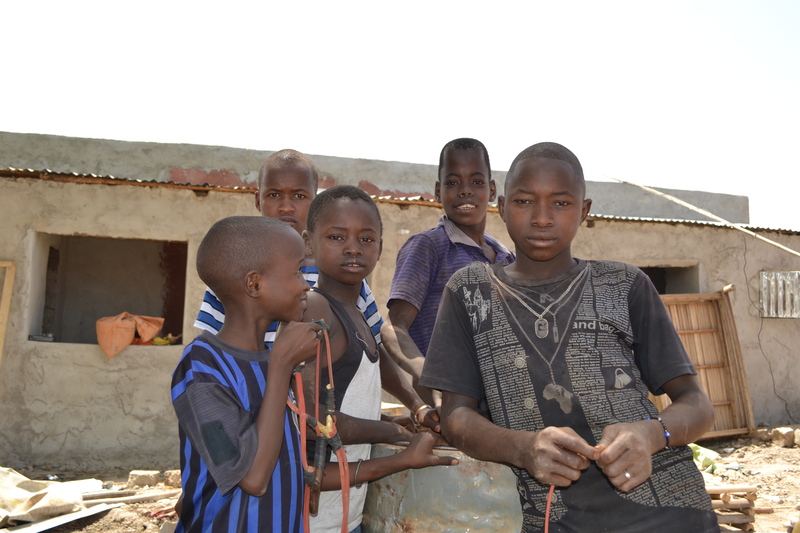 For a small village like Kharakhena it was custom and safe to let your children run off and play throughout the village and surrounding bush, knowing that your neighbors would always be keeping an eye out. Today, as children run and play throughout the village, they are rapidly being exposed to crime, alcohol, and unsafe labor practices. As Saiba has said, they are learning things they should not learn at such young ages. And so, as I think about how and where we go from here… Our sleepy village is no longer, but perhaps a vibrant economic hub is in it future. Saiba has been working day and night over the past year to bring safety and security back to his village with the help of the national military police force as well as a volunteer community security group. Bandits have been caught and jailed. The children’s future is looking brighter as a brand new three room school house opened for the first time this year with the support of Randgold mining corporation. And this summer we can start moving towards a brighter environmental future as well – reforestation? community managed protected areas? The choice is with the people of Kharakhena, however they envision their environmental plan. All we can do is help get the conversation going! I know that the people, environment, and chimpanzees of Kharakhena are going through a transition, and change is never easy. I remain nostalgic for my quiet hut in a village where everyone knew my name. And my worries for the future of Kharakhena, the chimpanzee’s habitat, and the children’s safety are likely to remain for sometime. But as Greek philosopher Heraclitus once said, “Nothing endures, but change”, we can only work to make this period of transistion at Kharakhena be one towards a brighter and more sustainable future for everyone. The road to Kharakhena from the mine. Welcome to the Falémé Chimpanzee Conservation website. 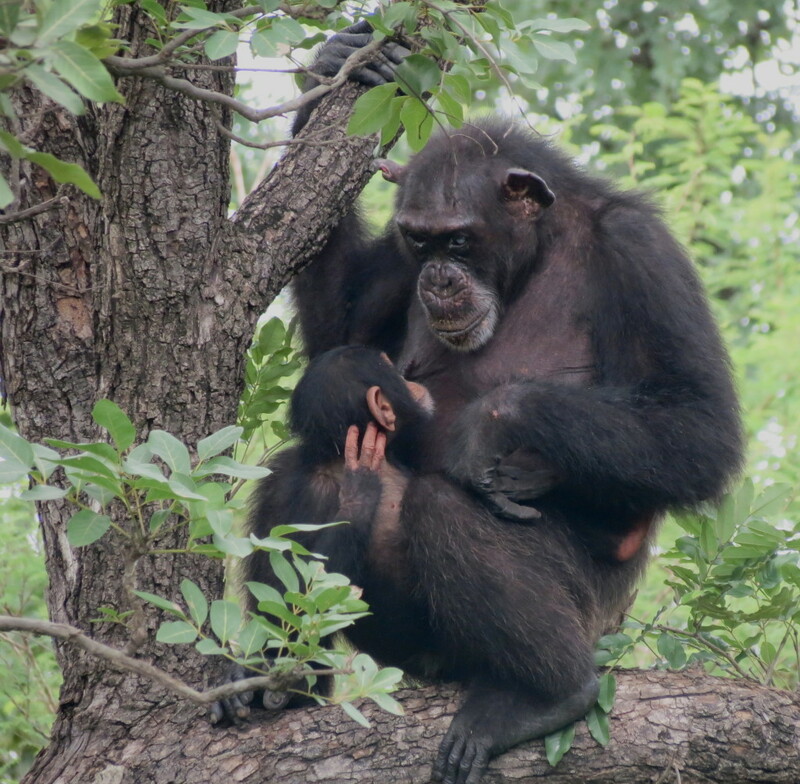 Our organization is working toward conserving chimpanzees and their habitat is southeastern Senegal. 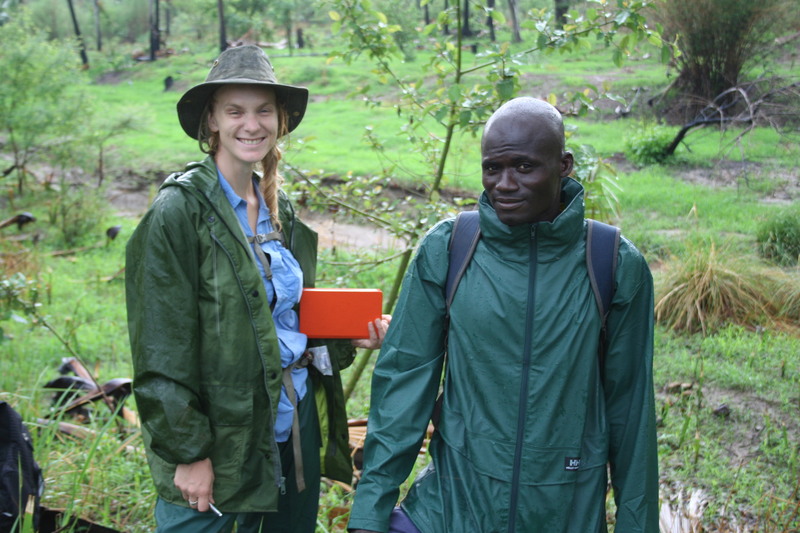 Please take a moment and check out our other pages illustrating our research and conservation education work!